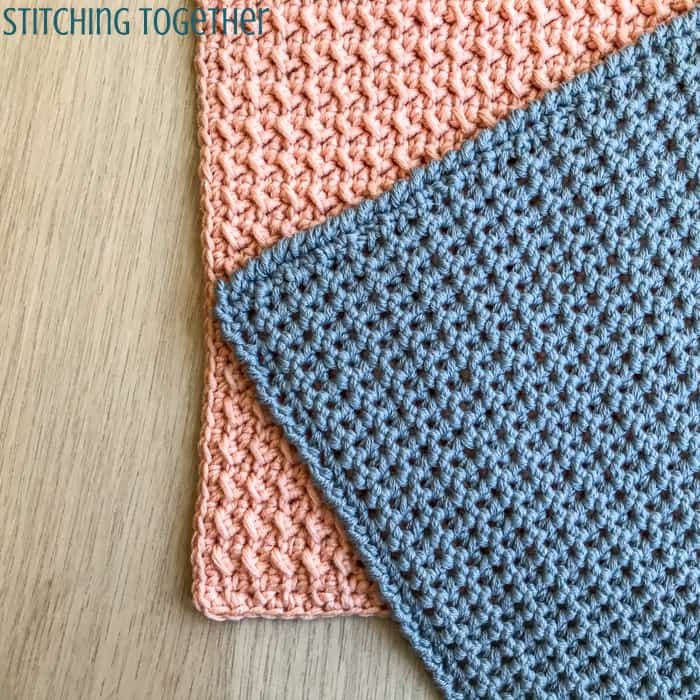 Use the Petite and Pretty Crochet Washcloth Pattern to make either a dishcloth or a washcloth. The choice is yours and the free pattern is below! 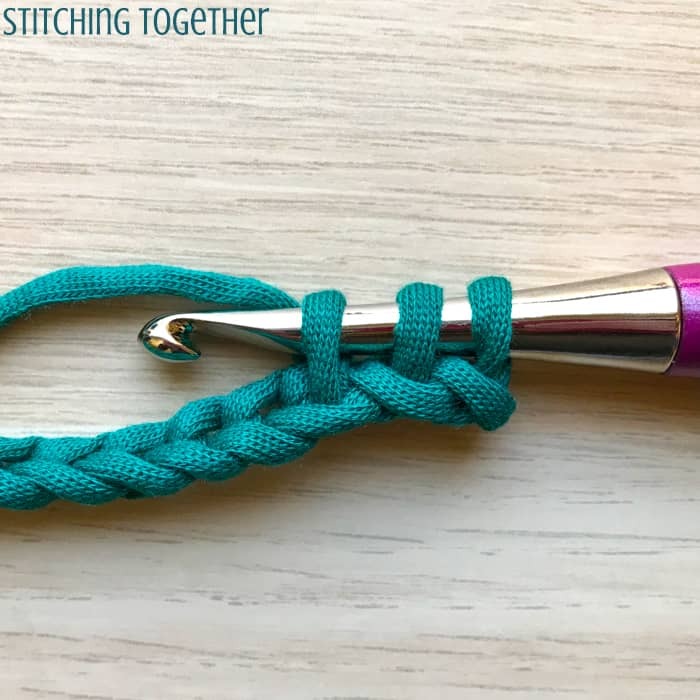 Don’t forget to save it to your best crochet board on Pinterest so you can find it later! Have you ever had a project just utterly and absolutely fail? 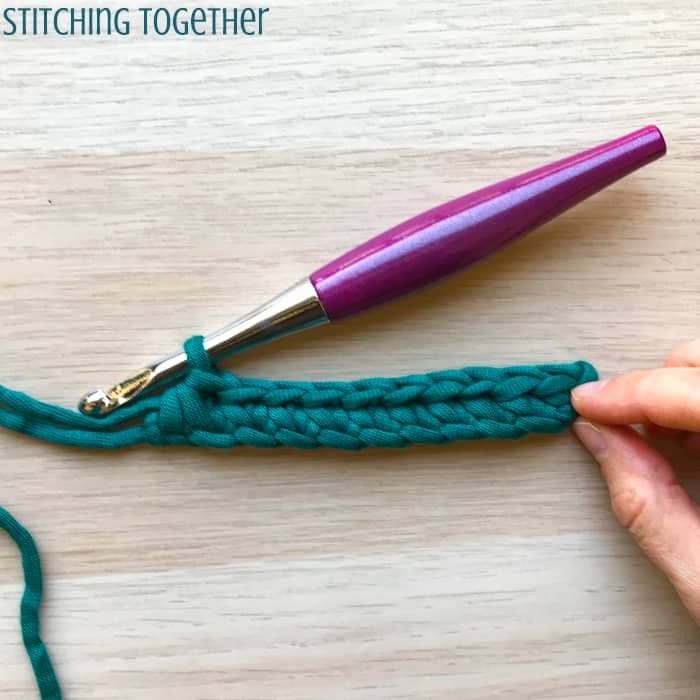 Maybe you were following a pattern and couldn’t figure it out or maybe you were designing something new and couldn’t get it from your head to the yarn. I’ve had both of those experiences but the story behind this yarn is a bit different. This gorgeous yarn was used to design a shirt for my friend (same gal pal who modeled the Kristie Cardi). And let me tell you, it was BEAUTIFUL! so beautiful. BUT somehow I managed to mess up the measurements. It probably would have fit her 8 year old daughter, which is fine, but not what I intended. I tossed it in my basket, yarn still attached and everything to let it sit while I decided what to do with it and how to fix it because this is a design that should not be abandoned! As it sat in my soft and squishy yarn basket, my wonderful cats assumed I made a new bed for them. (Of course they did, right? They are cats after all.) When I pulled the shirt out to start working on it again, I found, much to my horror, the cats claws had pulled out threads of the yarn all over one side of the shirt. It was beyond repair or reworking. Although one side of the shirt was destroyed the yarn on the other side was still in great condition and just begging to be used! Fair Isle Harbor yarn (take a look at it on Amazon) is a soft and smooth cotton/viscose blend with incredible sheen and drape. I’ve only used 3 skeins of this yarn so I can’t comment on other colors or types, but one of the skeins, which happened to be the first one I used, split like crazy! It seemed like the yarn in that skein wasn’t wound tightly enough. Honestly, I almost gave up using it when I was working on the shirt, but it was too pretty and worked up so nicely that I pushed through. When I frogged the good side of the shirt to make this washcloth, I didn’t have problems working with the yarn, so I am hoping that experience was unique to that one skein because I’d like to use it in more designs. The colors available are absolutely gorgeous! 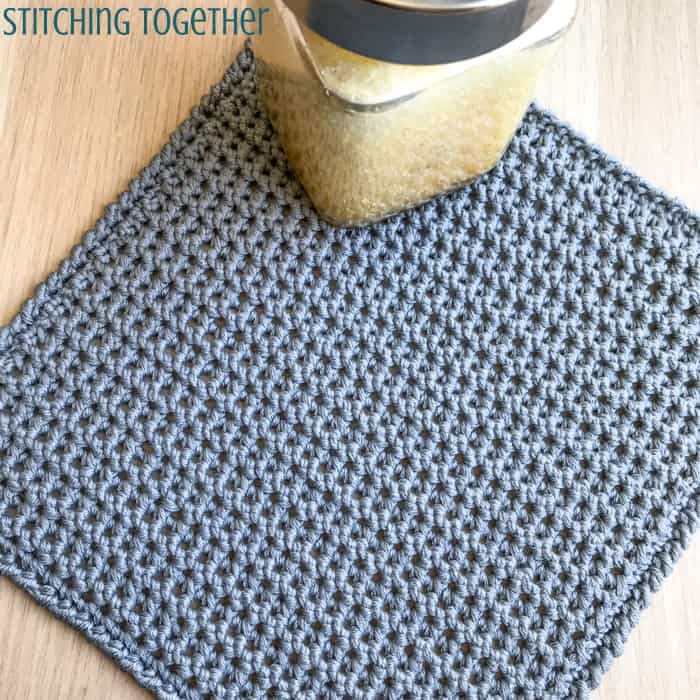 Looking for more great crochet dishcloth or washcloth patterns? 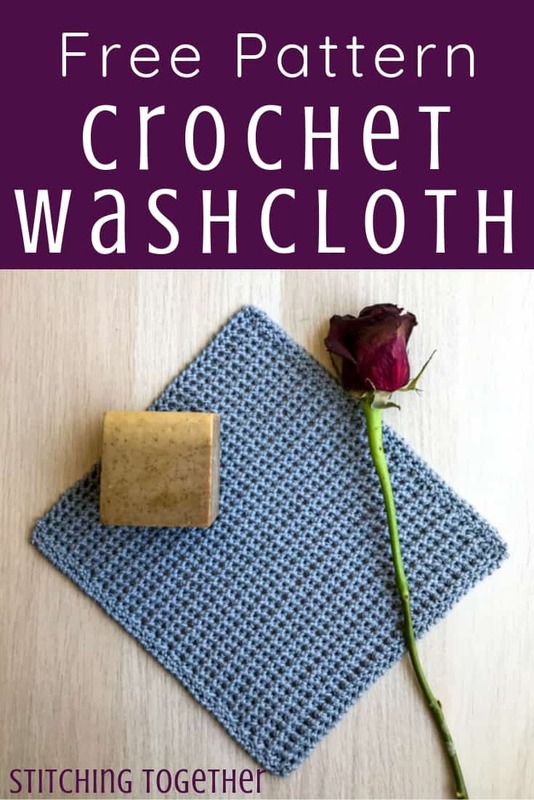 I’ve got you covered with a growing number of Kitchen and Bath Crochet Patterns! When I published the Striped Dishcloth Pattern I had asked if anyone knew if the modified hdc I used has another name. Someone suggested it might be the petit pois crochet stitch. 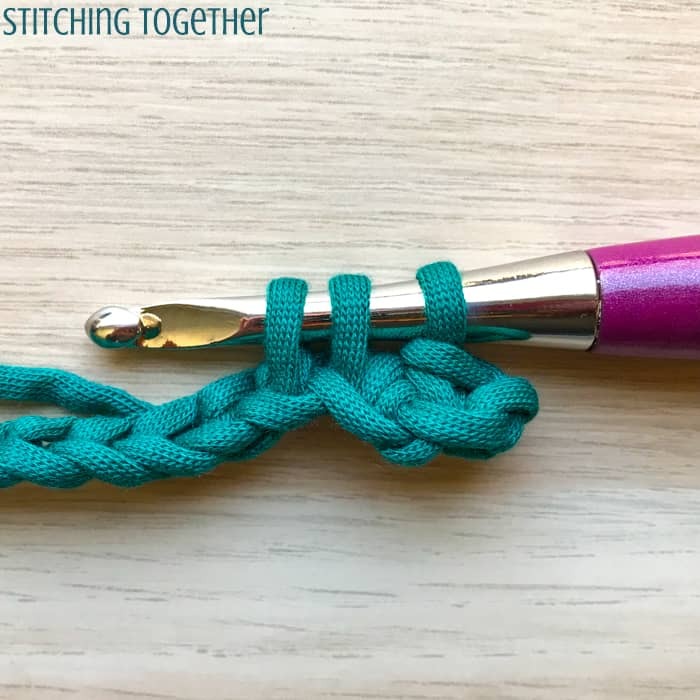 I looked up the stitch and found out it is different (made with sc instead of hdc) and I thought to myself “oh boy, now I have another favorite stitch”. 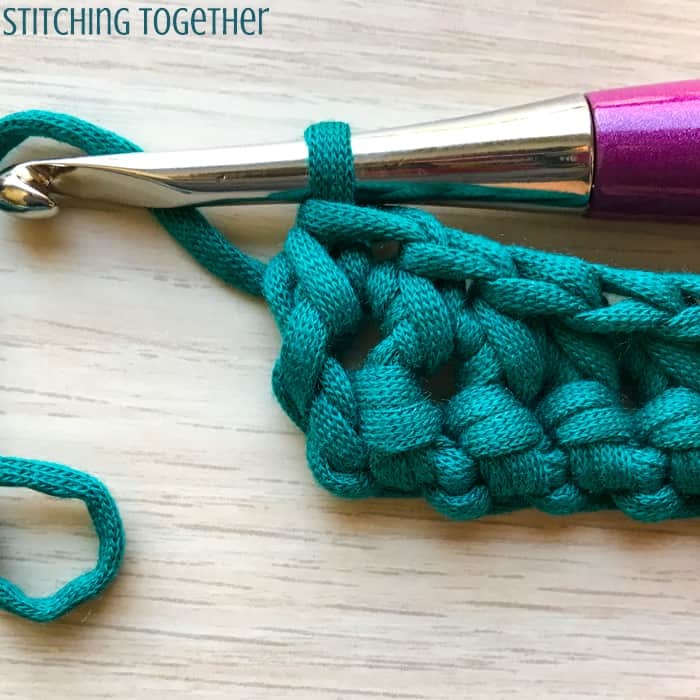 Not that a new favorite stitch is a bad thing, it is actually really a good thing as a designer, but I just want to use ALL THE STITCHES and make ALL THE THINGS! That, my friend, is a problem. But only because I don’t have unending time nor 20 sets of arms. 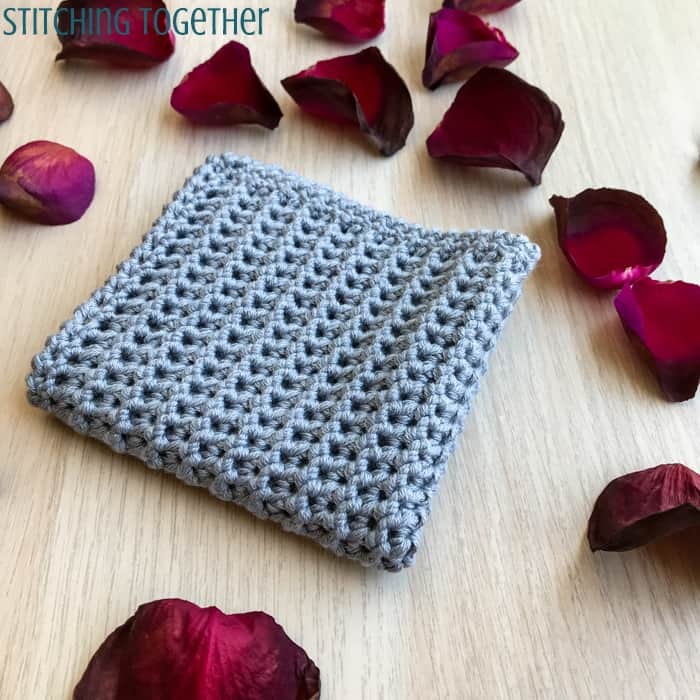 In usual form, I had to drop everything else I was working on and use the petit pois stitch and what better way to use a new stitch than in a small project like a washcloth or dishcloth? 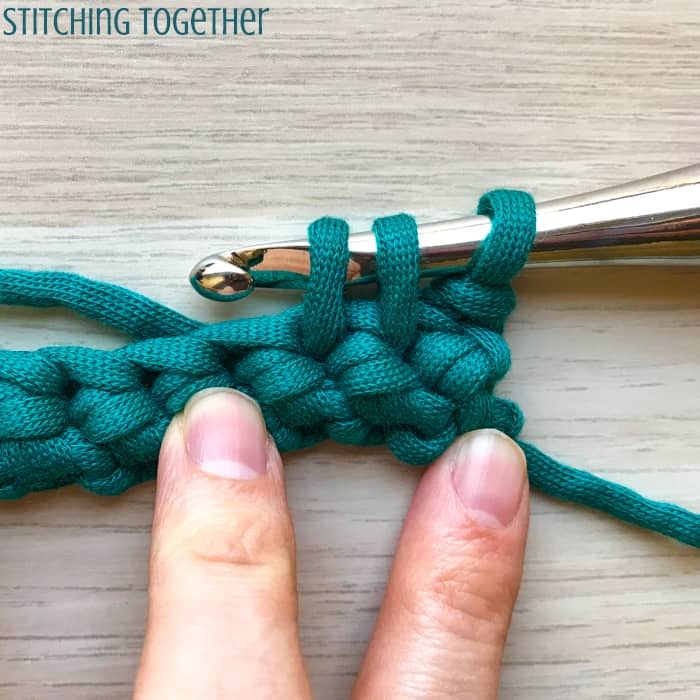 The petit pois stitch is basically a single crochet two together but instead of working over the next two stitches, you work in the same chain or stitch as the last completed stitch and then in the next stitch. So unlike a sc2tog, you are not decreasing. 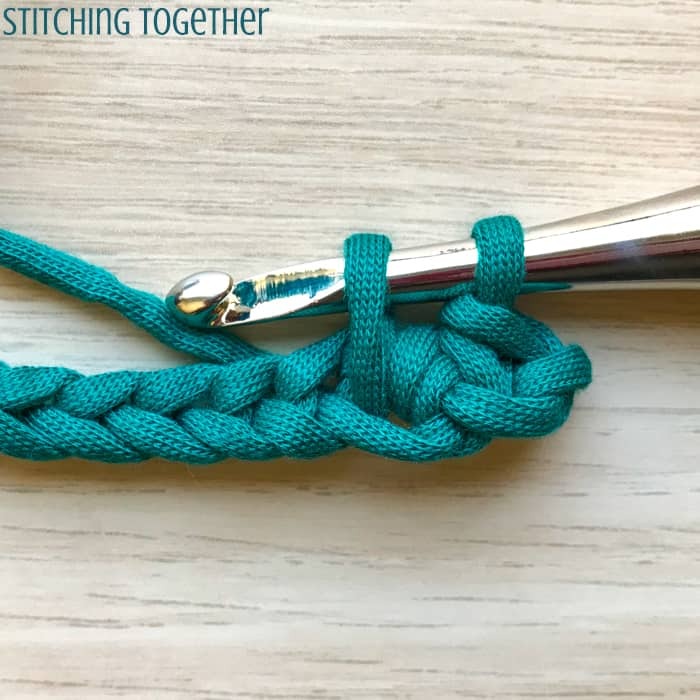 Don’t worry if that sounds a bit confusing, you’ll find pictures in the stitch instructions part of the pattern! 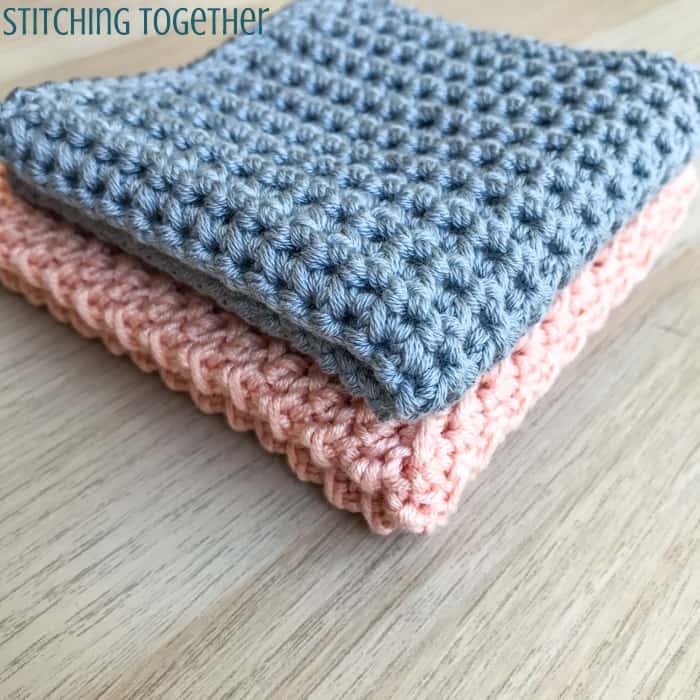 If you block your washcloth, be aware that the stitches have much more vertical stretch than horizontal stretch so your washcloth may end up longer than it is wide. Row 1: insert hook into 2nd ch from hook, pull up a loop, insert hook into next ch, pull up a loop, yo and pull through all three loops on the hook, *insert hook into the same ch of the last completed st, pull up a loop, insert hook into the next ch, pull up a loop, yo and pull through all three loops on the hook, repeat from * to the end of the row, turn. Repeat row 2 until you reach a total of 38 rows. 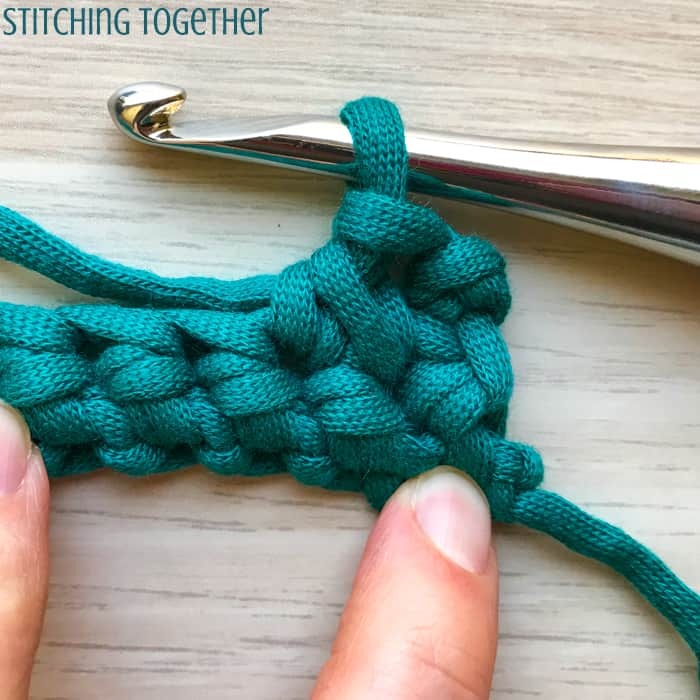 Round 1: ch 1, sc around the entire edge of the washcloth placing a sc, ch 1 sc, in each corner, join with sl st to the first sc. Round 2: ch 1, crab stitch (reverse sc) in each st, join with sl st to the first st. Fasten off and weave in ends.